Now you can learn about botanical art, through drawing and painting in the comfort of your own home and garden? Maintain the discipline of painting regularly? Check out the testimonials from those already doing the course. You can subscribe to the course NOW! I limit the number of new students at any one time, to make sure you get the support and constructive feedback that you need to develop your botanical art abilities to the full. But I will sign up new students from my waiting list each month, on a first come, first served basis. 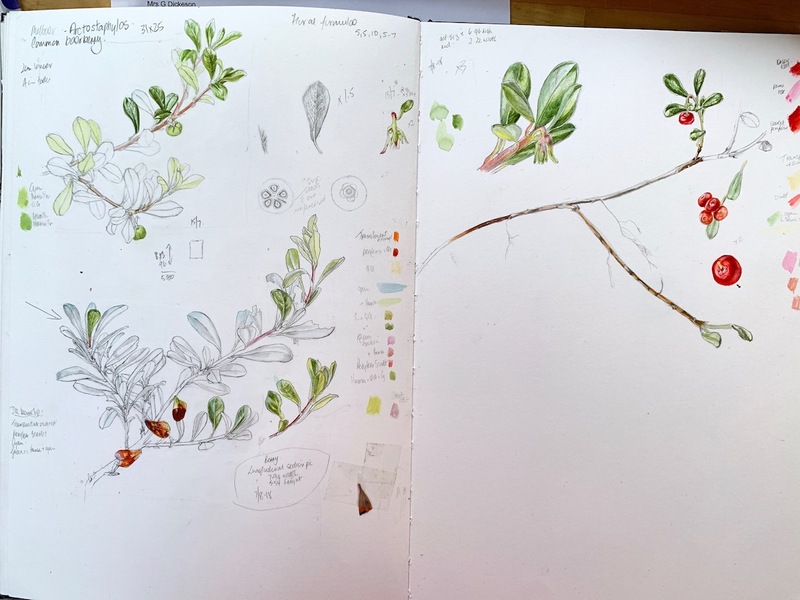 Here is a slideshow showing how I did one of the berries on this sketchbook page. Using a sketchbook to prepare is an important part of botanical art and this will be talked about in the first module. The videos in each of the modules will be more detailed and have additional written material to guide you through techniques. 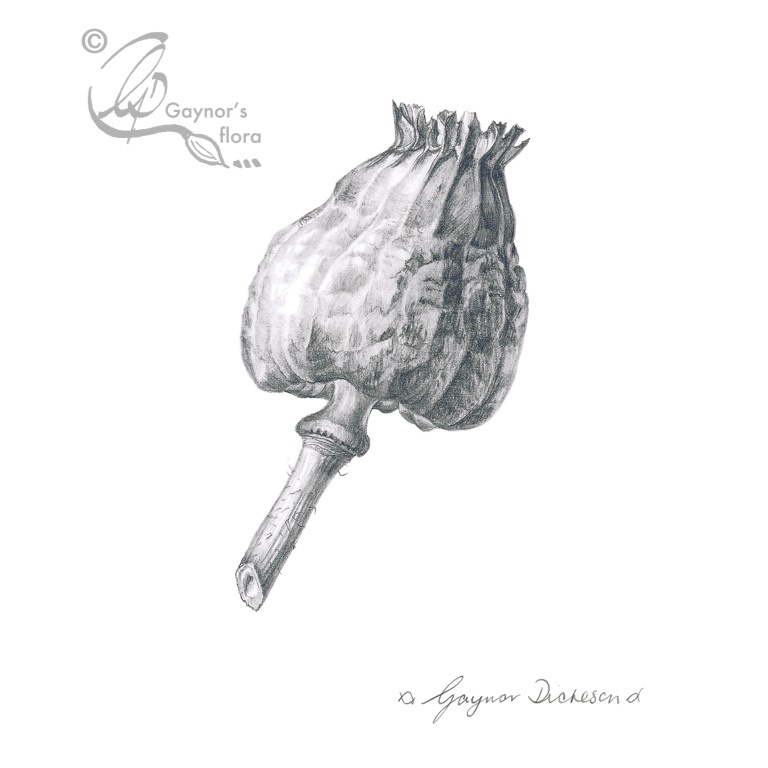 The course is suitable for you if you are starting out in botanical art, or if you want to improve your abilities. Learn more about the fascinating plants around you and actually ‘see’ them rather than simply look. 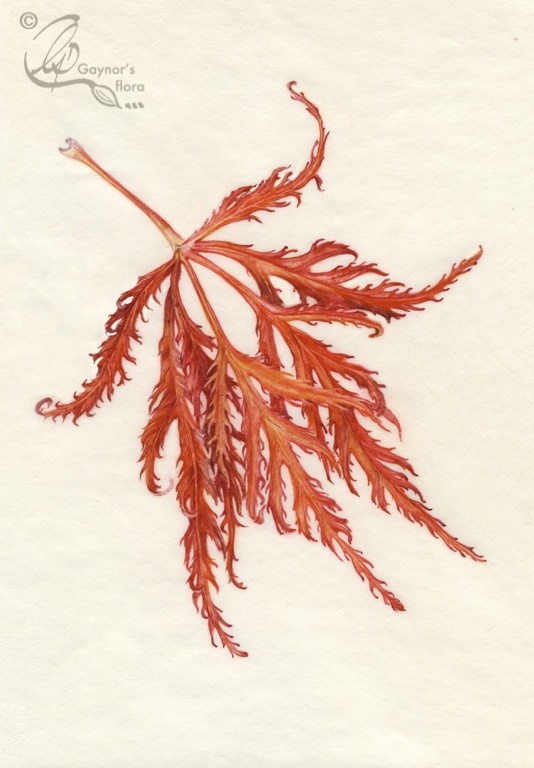 Learn to observe botanical detail in plants and know what to look for. Learn to put down on paper what you have seen. Compose and draw plants in an attractive and informative way. Gain more understanding of your chosen media – watercolour or coloured pencil, but also graphite, pen and ink. One botanical picture in graphite. A pen and ink drawing in your chosen style. A botanical picture incorporating graphite and colour. One fruit and vegetable study in colour. Two full compositions of a flowering plant and a fruit and vegetable arrangement. Introduction to botanical art leading to a line drawing. Graphite and tonal value drawings. Introduction to pen and ink. Introduction to colour. You choose initially if you want to use watercolour or coloured pencil as your main medium. The project for this module will be a flowering plant. Focus on fruit, vegetables and solid subjects, using your main medium. The modules that introduce a new medium will include a section on materials and how to use them. For example, the second module is about tonal values, so there is a section on graphite pencils. But you should decide early in the course if your main medium is to be coloured pencil or watercolour. The colour comes into the course in modules four through six. From there you will complete the course using the medium you chose at the start. But if you wish, you can extend the course by adding the final three modules in the other medium. For instance, if you chose to work in watercolour at first, you may repeat the three final modules, but in coloured pencil. Each module includes written tuition, broken down into manageable bites. Most have links to short videos showing techniques and there are also links to other websites that I recommend. 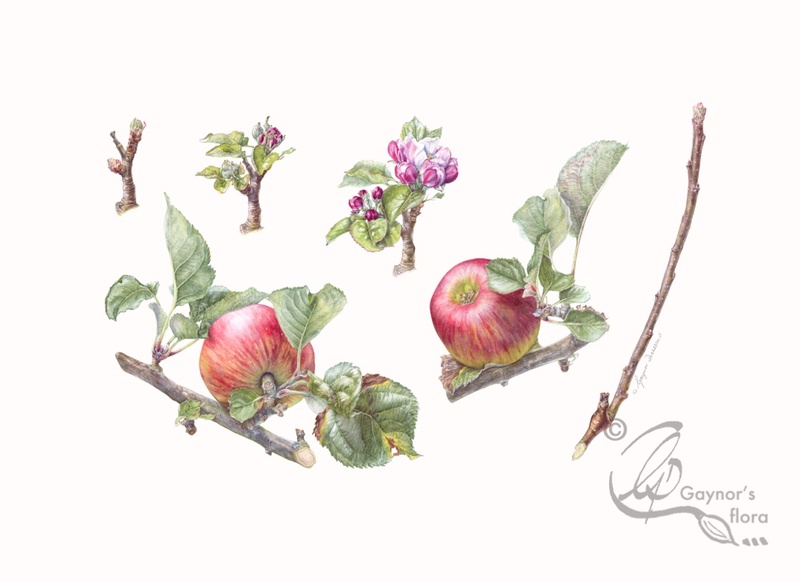 I have also included work by other artists and links to their websites to show something of the range of techniques and styles within botanical art. How is the course managed? Once you have started paying for the course, I will send you a ‘Dropbox link’ which will give you access to all the tutorials and the assignment for the first module. You don’t have to have a Dropbox account to access the tutorials. At the end of each module and when you have completed your assignment, you will either scan or photograph it and send me the high resolution images via email. I will write a very detailed and constructive feedback about your assignment and send this back to you with the link to the next course module. The aim is to finish the six modules within 18 months, giving you time to complete the course and keep on top of your family and work commitments. The last module is likely to take the most time. When you’ve completed six modules with your chosen medium, you can opt to pay an extra fee and extend the course to repeat the final three modules in the other medium. Following the successful introduction of the botanical art online course in March 2016, the revised and improved course is now available for £460. You can handle this as a single payment before you start the course, or as six separate monthly instalments of £82. If, when you complete the six module course you decide to continue without a break, you can add on the last three modules in the ‘other’ medium. The additional price will be a further one-off payment of £210, or three separate monthly instalments of £75. The course fees are non-refundable. Sign up for the course now, via the website contact form. Or get in touch with me via the contact form if you would like more details. Obviously, I will take bookings on a first come, first served basis.